Ongoing geoconservation work in the quarries of the Lickey Hills continues to unearth evidence of the region’s enigmatic geological history. 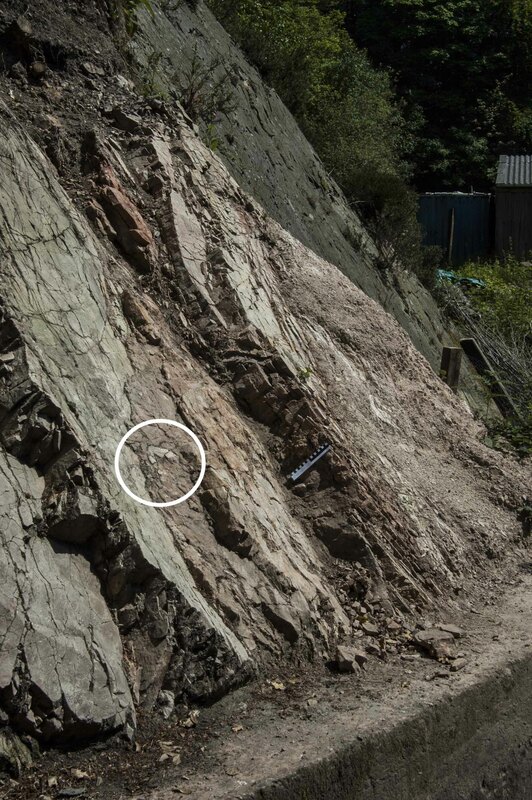 At the south east end of Barnt Green Road Quarry, the large-scale recumbent fold in the Lickey Quarzite is cut by a normal fault. 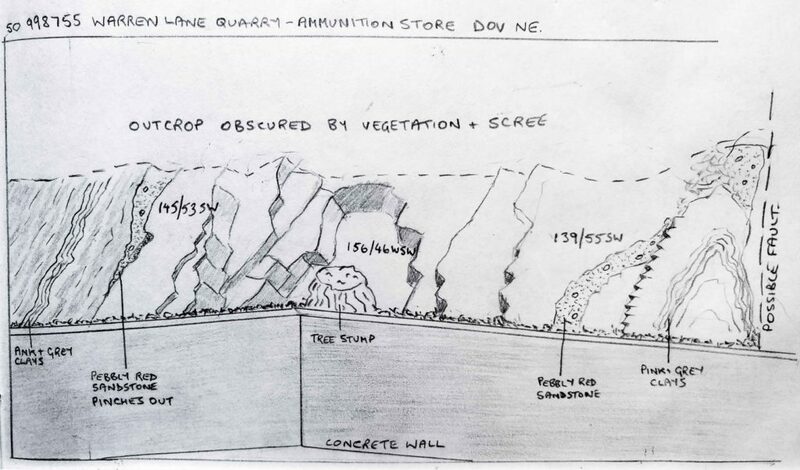 Excavation of quarry spoil has revealed that the fault plane steps across quite dramatically, producing an unusual juxtaposition of bedding structures in the hanging wall and foot wall blocks. Frank Moseley, who worked at Birmingham University from 1958 to 1989, sketched the fault, but at that time the step-over was buried and went unrecorded. It is also clear that he did not recognise the fact that this quarry face exposes the point at which the fault cuts the hinge of the fold. Unfortunately, this part of the quarry suffers frequent rock falls, and requires repeated removal of debris to keep these features visible. Fig 2. 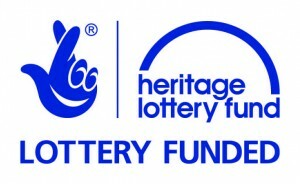 Work by the Lickey Hills Geo-Champions revealed more of the structures, allowing a fuller interpretation. Fig 3. 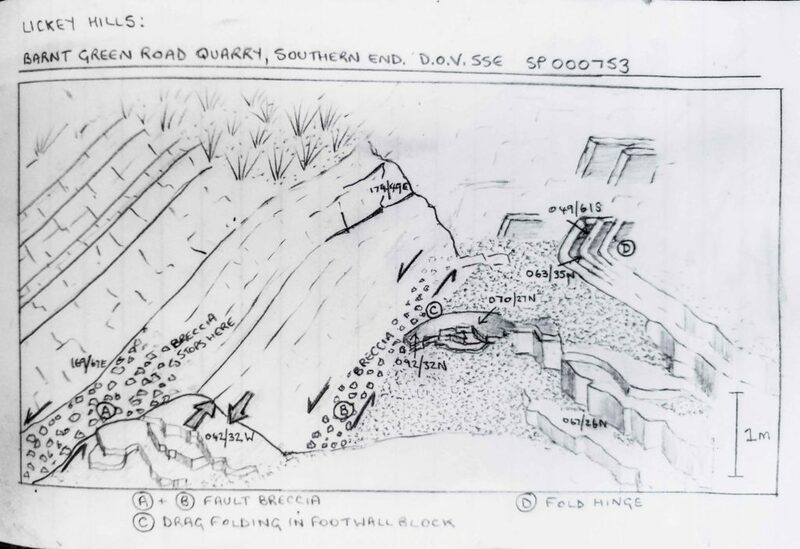 Alan Richardson’s sketch of the same quarry face shows the step-over in the fault, and the hinge of the recumbent fold. Behind the site of the munitions store in the Warren Lane Quarry, the monotony of the Lickey Quartzite is interrupted by an apparently conformable layer of reddened sandstone. 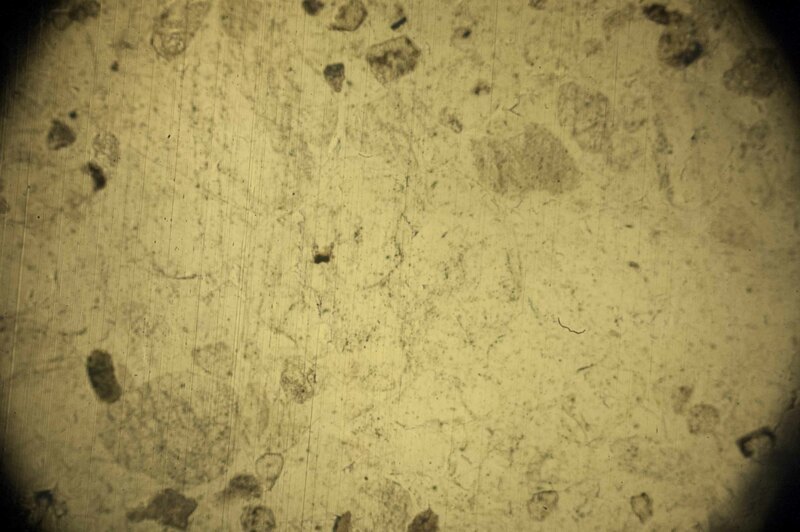 It differs from the quartzite in two important ways: it contains well-rounded vein quartz pebbles, and its constituent grains lack the sutured boundaries seen in the quartzite. Fig 4. 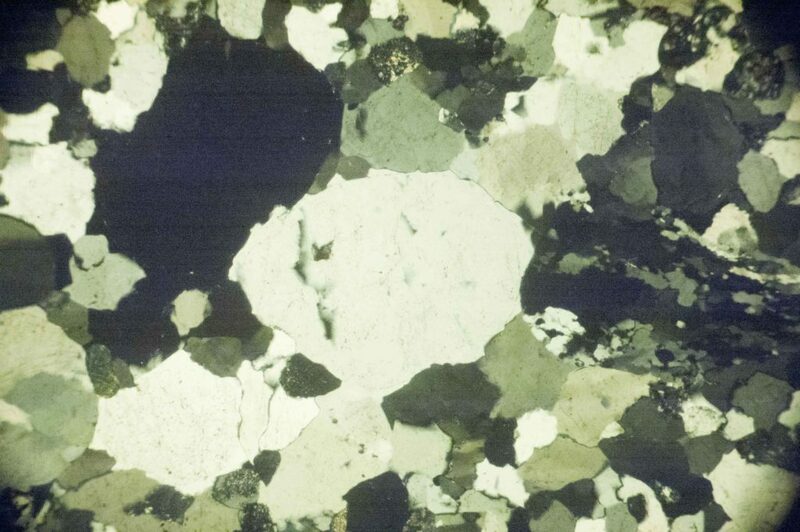 Lickey Quartzite in plane-polarised light (PPL). Fig 5. 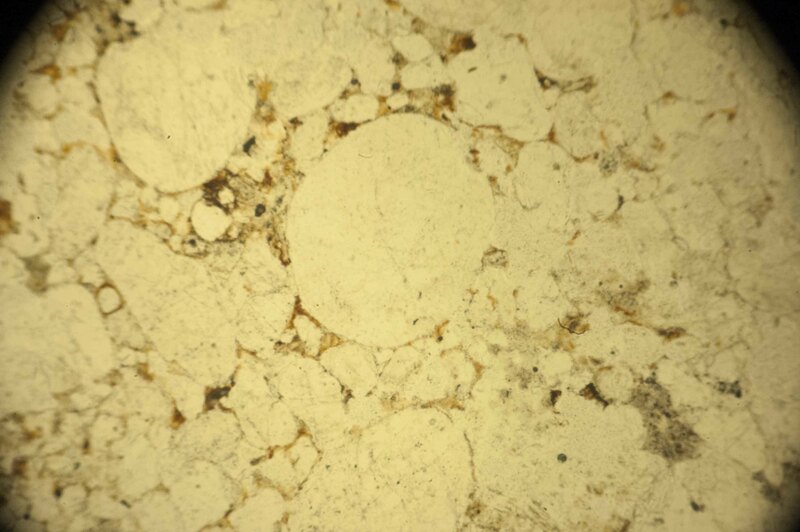 Lickey Quartzite in cross-polarised light (XPL). Fig 6. Fissure infill in PPL. Fig 7. Fissure infill in XPL. Fig 8. 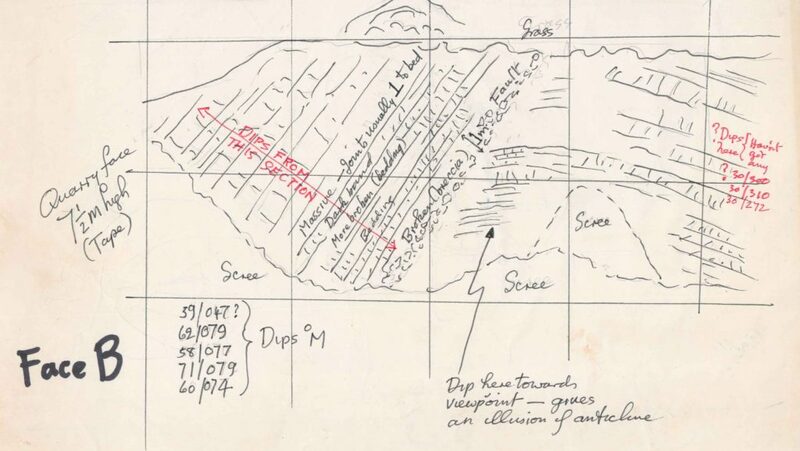 Field sketch of the exposure above the rear wall of the ammunition store in the Warren Lane Quarry. The pebbly sandstone is interpreted as a fissure in fill (‘neptunian dyke’). Clearly it does not share the same burial history, and must be younger. The same feature can be projected across the munitions store to a face where it can be seen tapering downwards and closing. The overlying rock is Lickey Quartzite, of which angular fragments can be found within the pebbly sandstone. The evidence all points towards this being a neptunian dyke. Fig 7a. The layer of pebbly sandstone in the Warren Lane Quarry, interpreted as a fissure infill. Fig 7b. Enlargement of the area circled in 7a, showing fragment of the Lickey Quartzite in the pebbly sandstone. At the Rubery Cutting, the unconformity between the Ordovician Lickey Quartzite and the Silurian Rubery Sandstone is exposed. Recent work here (including the removal of a tree stump) allowed much improved access to a very obvious neptunian dyke which cuts both units. 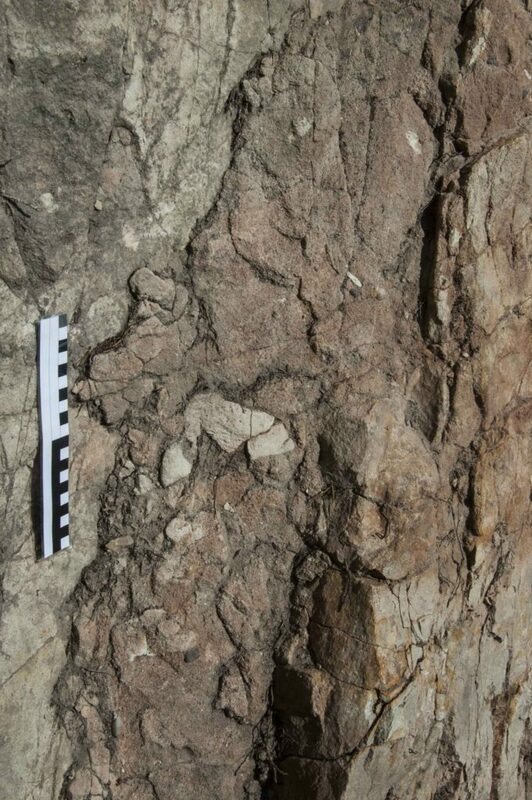 Predictably, the material in the dyke includes angular fragments of the grey quartzite. More significantly, it also contains fragments of the reddish Rubery Sandstone: this provides evidence of the latter having been lithified before the fissure opened. Fig 8. The fissure infill at the Rubery Road Cutting. 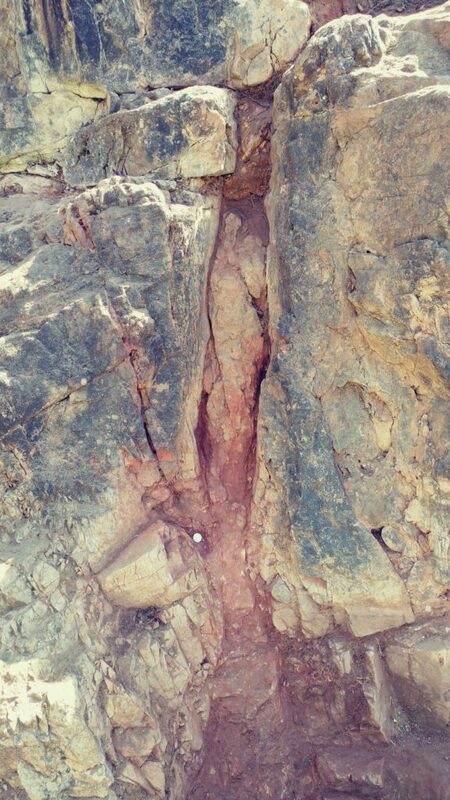 It cuts through the unconformity (arrowed) between the Lickey Quartzite and the overlying Rubery Sandstone. 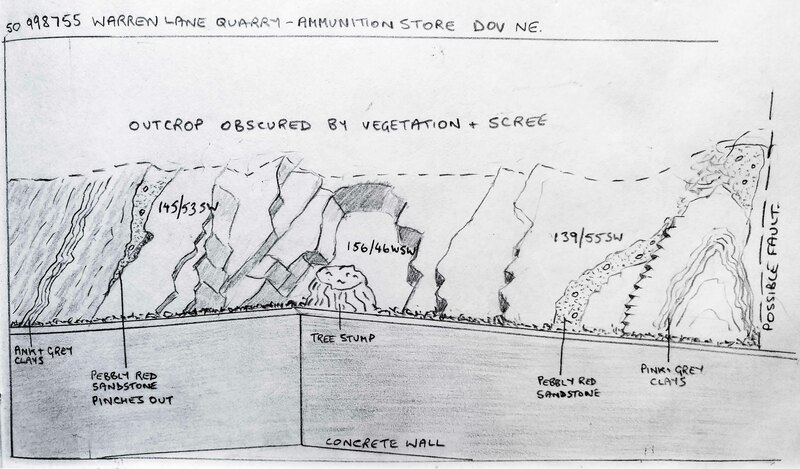 It seems likely that the feature in the Warren Lane Quarry is comparable to the Rubery Cutting neptunian dyke. 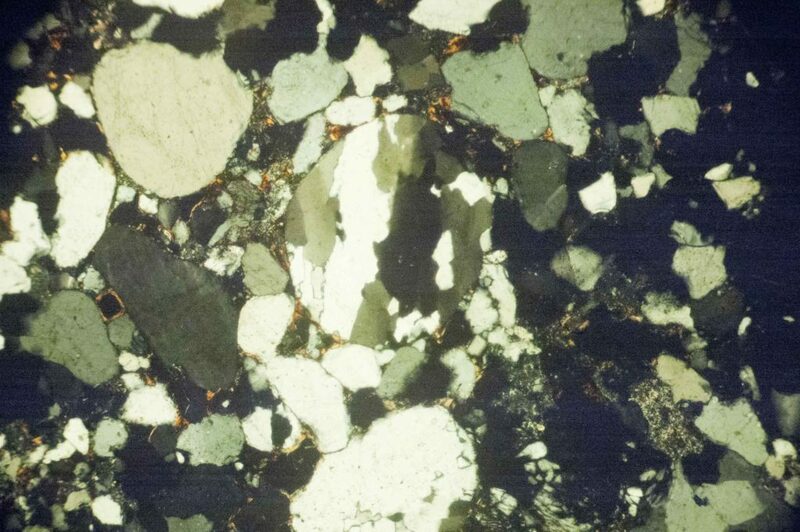 It may be possible to attempt a lithological correlation using thin sections.